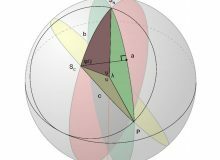 This site has been created in order to explore and disclose the characteristics, and also the significance, of a new geometric function. The function defines the physical unit of an additional base quantity. The additional base quantity is specifically the property or dimension that we call direction. 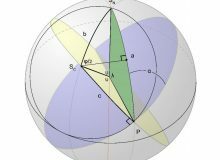 It is hoped that this site will be a focal point for propelling the investigation of the math and physics that are behind these geometric relationships. A simple conversation seems to be in order, and this is the opening manuscript for that discussion. Direction (or orientation) is a component of space. No one seems to disagree with this arrangement. There doesn’t seem to be any authoritative source on whether direction is a property, quality, quantity, attribute, parameter, constant, or whatever. Some experts claim that it’s a thing that isn’t a thing. Additional perspective about this thing can be realized through the use of this geometric approach. 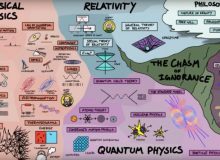 It doesn’t appear to change anything that is already known regarding Euclidean 3-space, except for around the extremely remote edges where we get very near to the chasm of ignorance. The simplest way to organize the information is to place things into two distinct piles, one which contains things that are known (proven), and another separate pile that contains speculation or theories that may or may not have merit. Since the entire topic is novel, there are no existing goalposts that can be applied in order to formulate this partition. 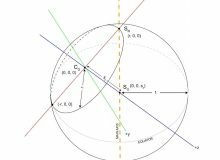 Therefore, we can only make the logical distinction between the actual mathematics (mostly trigonometry and algebra which we know to be correct) and the speculative applications for the math with regards to physics.